Why should Valentine’s be the only holiday to share a treat at school? 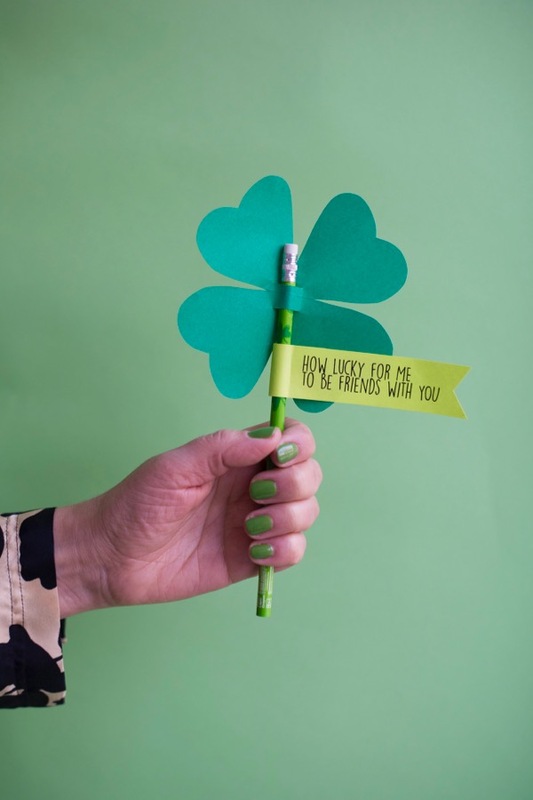 These lucky 4-leaf clover pencils are easy to make in bulk, and you can get 12 pencils for $1 at the dollar store. 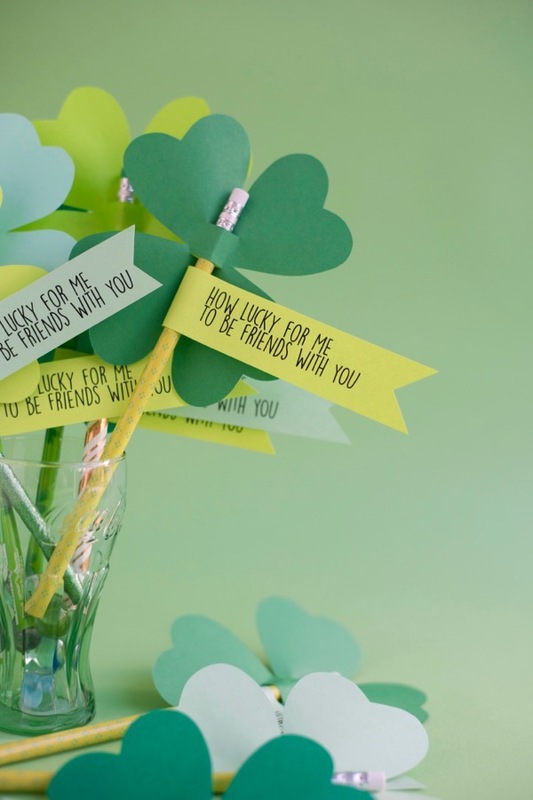 Or make a few for friends, play-dates, cousins, or any leprechauns hanging around the house. 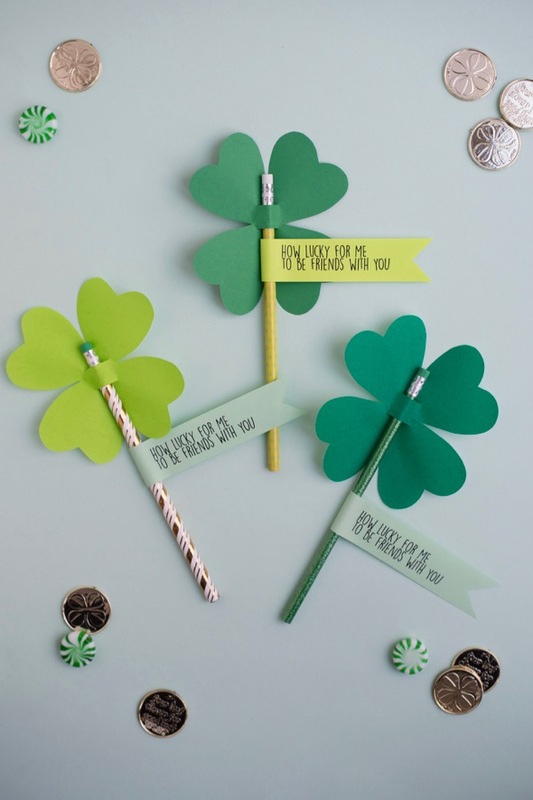 Materials needed: thin green paper, St. Patrick’s Day pencils, scissors, x-acto knife, ruler, st patricks day tags template (optional), tape. Step 1: Cut out a 5” x 5” square of paper. Step 2: Fold in half diagonally, then fold in half again. Step 3: Holding the point at the bottom, cut out a heart shape, starting and ending about 1/2 inch from the point. 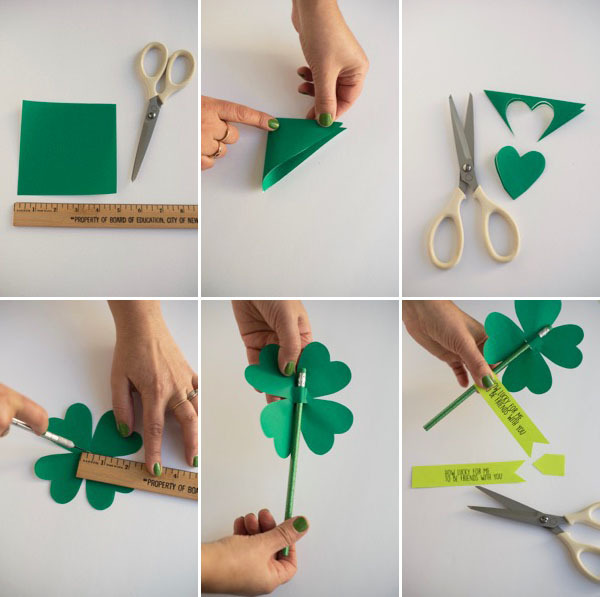 Step 4: Unfold one fold, and cut two ½” slits in the center of the clover. 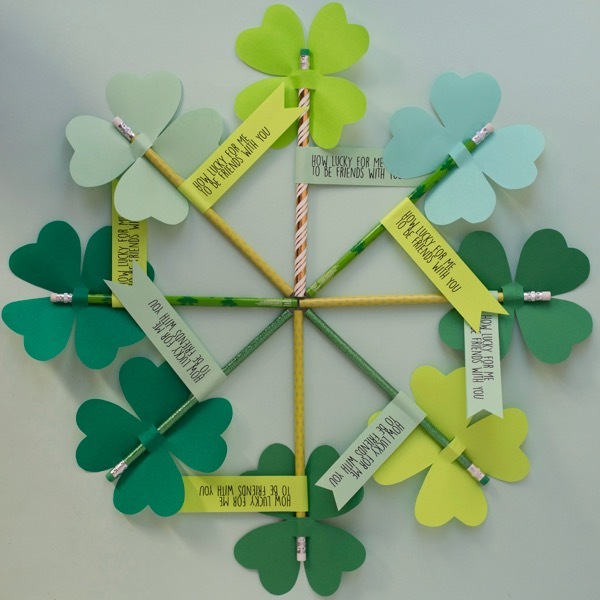 Step 5: Insert the pencil into the slits and adjust so the clover is at the eraser end of the pencil. Step 6: Print out, cut out and attach the tags with double-stick tape. Notch the ends if desired. Or, create your own personalized tags for friends or classmates. These are so cute! I think I’d tear up if a friend made me one of these. How cute! 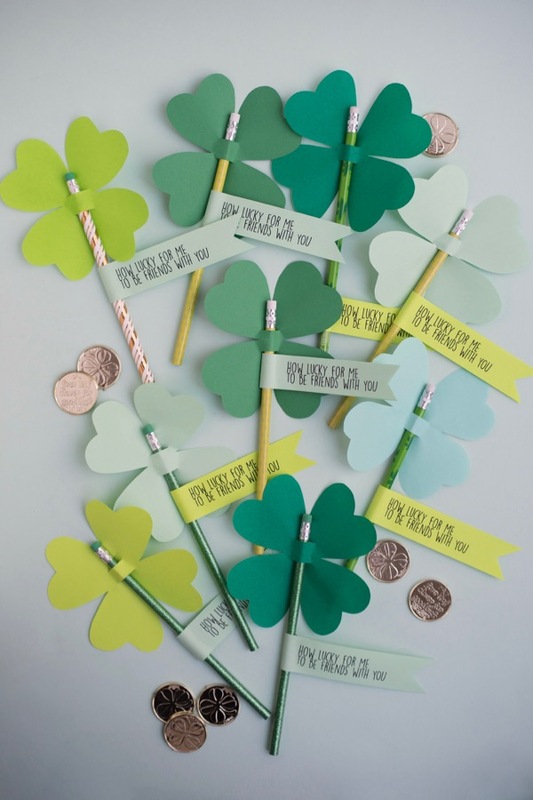 I love the shades of green! 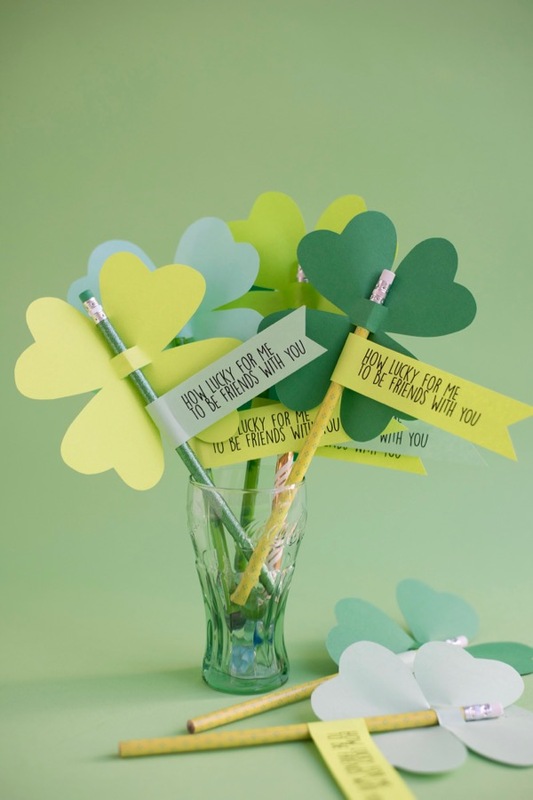 Amazing art of patricks day clover pencil diy. It was great. Thanks for sharing it. 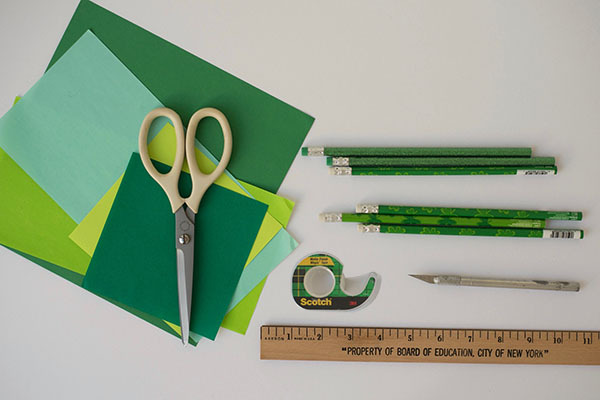 These would make for awesome classroom gifts! Love these and they won’t give you a hangover!